As the federal Avandia multidistrict litigation draws to a close after 65,000 claims have been winnowed down to between 500 and 600 cases, over 150 lawyers from over 50 plaintiffs law firms are seeking court approval of the dispersal of up to $143.75 million in attorney fees as well as costs undertaken for the common benefit of the entire mass tort litigation. The requested fee is estimated to be 6.25 percent of the settlements reached in the litigation, according to the motion. A hearing in front of U.S. District Judge Cynthia M. Rufe of the Eastern District of Pennsylvania on Wednesday opened a window into the complexities, dogfights and uncertainties of the five-year-old litigation. While Rufe said at the hearing she was taking the motion under advisement, she saw no reason presented at the hearing to not grant the motion. So far there has not been a single federal or Pennsylvania state trial over the diabetes drug and Avandia drugmaker GlaxoSmithKline has been settling the cases by a firm-by-firm basis. The MDL was established in October 2007. Joseph J. Zonies, a Denver plaintiffs attorney with Reilly Pozner who was part of the plaintiffs steering committee, testified that the work undertaken in the Avandia litigation meets the requirements under Gunter v. Ridgewood Energy of a fee that is appropriate to the risk of the undertaking, to the quality of the lawyers involved, to the quality of the work involved, and to the benefit conferred upon the mass tort claimants. Another Gunter factor is the risk of nonpayment, Zonies said. There were several risks that made many plaintiffs counsel around the country balk at getting involved with Avandia, Zonies said. There was risk of proving specific causation between plaintiffs who took Avandia to treat their diabetes and their cardiac adverse events, as well as that plaintiffs who have Type 2 diabetes are at risk of cardiac adverse events, Zonies said. Further, as Pepper Hamilton attorneys Nina Gussack and George Lehner looked on, “one does not tread lightly into the waters when Pepper Hamilton is across the table because you know it’s going to be a hard-fought battle,” Zonies said. 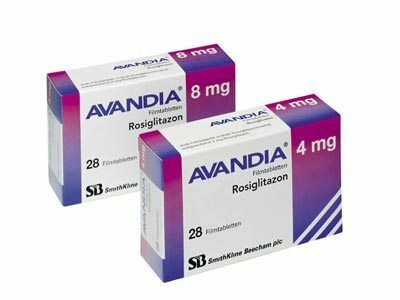 Another risk was that there was only one study that showed risks from using Avandia, and that study was a meta-analysis instead of the gold scientific standard of a randomized control trial, Zonies said. The plaintiffs “did not have a clear randomized control trial that” demonstrated risk, Zonies said. There was only one scientific study, which had no mechanism of action for one of three types of plaintiffs’ injuries, said Vance Andrus, another plaintiffs attorney of Andrus Hood & Wagstaff from Denver. The U.S. Supreme Court also had not yet decided whether federal law was a ceiling, instead of a floor, on drug product liability state-law claims. If that narrowly decided case of Wyeth v. Levine had been decided in favor of the drugmaker, “there’s a very real chance Ms. Gussack would have been out of a job,” Zonies said. The individual plaintiffs steering committee members were each “carrying costs” of $750,000 to $1 million, Zonies said. The plaintiffs almost formed a virtual law firm in order to handle the litigation. Over 30 million documents were produced by GSK, which were all online and accessed by lawyers around the country through a secure portal, Zonies said. Close to 147,000 hours were submitted for common benefit work, and over 134,000 work hours were approved by the forensic accountant retained by the plaintiffs counsel. “The number of hours accepted here was really in line with other megafund cases,” Stephen Corr, a plaintiffs attorney with the Corr Law Firm in Warrington, Bucks County, testified. Because all of the settlements were confidential, the overall amount of recovery is unknown, Corr said. There was no real way to “put our fingers on how many cases had settled,” Corr said, but the lawyers had an idea among themselves because each lawyer had his or her own settlements, because of news articles and because of financial filings by GSK, which include litigation costs. As an example of the in-depth work required in the litigation, Zonies described the plaintiffs steering committee visiting Pepper Hamilton’s law office to go through 400 dusty boxes of GSK documents related to its initial new drug application for Avandia to the federal Food and Drug Administration. Trips were taken to take depositions at GSK’s London offices, Zonies said, and multiple experts in the fields of biostatistics, cardiology, epidemiology, endocrinology, federal regulation and marketing were worked with around the country and even abroad. The plaintiffs counsel had committees on law and briefing, experts, science and the federal Daubert evidentiary standard, Zonies said. The plaintiffs lawyers were “a bunch of attys who had to become cardiologists pretty quickly. The attorneys had to learn the cutting edge” of cardiac science, Zonies said. While plaintiffs lawyers were working cooperatively even before there was a motion to coordinate the cases into an MDL, Corr said that the fee committee decided to set a bright line that only works after the MDL was formed would be reimbursed. Dianne Nast, a plaintiffs attorney with RodaNast in Lancaster, said the fee committee, which was formed by Rufe’s order in February, met 19 times and as far as she knows there was no opposition has been filed against the motion. Every client of every lawyer has diabetes, and two-thirds of diabetics are going to die of heart disease, and they suffered severe injuries of heart attack, strokes or congestive heart failure, Andrus said.